ATLANTA – Jan. 16, 2019 – Comcast announced today it is soliciting proposals for any qualifying organization across the Southeast wishing to participate in this year’s Comcast Cares Day. The deadline for submission is Friday, February 1. Comcast is seeking proposals from community-based organizations, such as public nonprofits, school districts and others that provide community service within the Comcast service area. For more information on how to qualify, or to download an application, please visit the following: Completed applications should be emailed to Lisa_Walker@comcast.com. 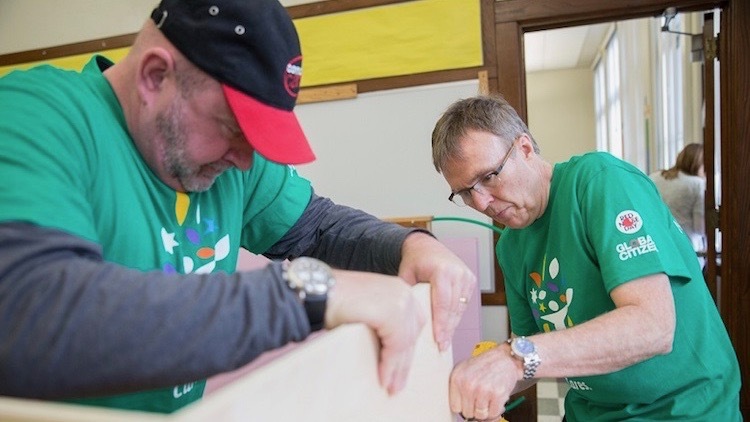 Comcast Cares Day is more than just a day – it’s the culmination of Comcast NBCUniversal’s commitment to volunteerism that began when the company was founded in 1963. From using technology to create positive change, such as wiring community centers and libraries and teaching digital literacy skills, to mentoring youth or beautifying parks, Comcast NBCUniversal employees volunteer on this day, and throughout the year, to make a lasting impact. For more information on Comcast NBCUniversal volunteer and community investment initiatives, visit https://comca.st/2sxKb8h. Comcast Corporation (Nasdaq: CMCSA) is a global media and technology company with three primary businesses: Comcast Cable, NBCUniversal, and Sky. Comcast Cable is one of the United States’ largest video, high-speed internet, and phone providers to residential customers under the Xfinity brand, and also provides these services to businesses. It also provides wireless and security and automation services to residential customers under the Xfinity brand. NBCUniversal is global and operates news, entertainment and sports cable networks, the NBC and Telemundo broadcast networks, television production operations, television station groups, Universal Pictures, and Universal Parks and Resorts. Sky is one of Europe’s leading media and entertainment companies, connecting customers to a broad range of video content through its pay television services. It also provides communications services, including residential high-speed internet, phone, and wireless services. Sky operates the Sky News broadcast network and sports and entertainment networks, produces original content, and has exclusive content rights. Visit https://comca.st/2sthqK3 for more information.